Intra-extra rotation + elevation/abduction + pronation/supination of the upper arm. The device, ideal for a more gradual rehabilitation, is constituted by adjustable elastic straps and a computer. Dynatorq can also be used for the conservative and post-surgery re-education of the upper limbs and to recover neuromuscular control. 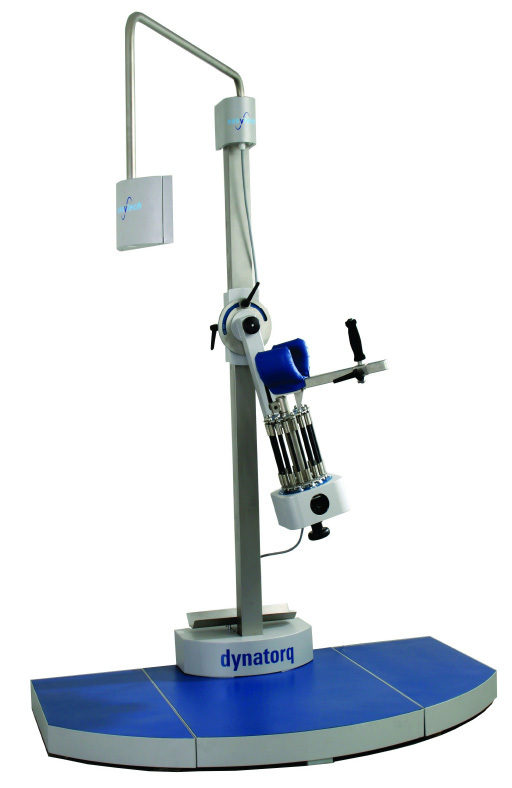 The device provides feedback and measures both the force applied and the bending angle of joints, and also enables the execution of isometric tests. 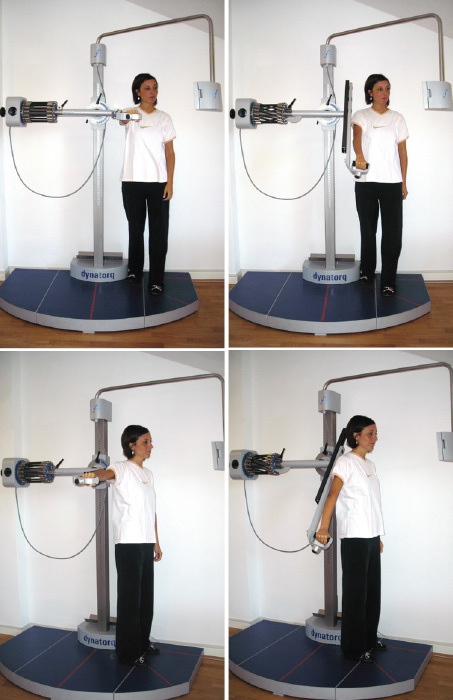 The main difference between the work that can be done using DYNATORQ and that done using plain elastic bands, which generally allow more “degrees of freedom” in an exercise, is that DYNATORQ lets the therapist isolate a specific movement (intra-extra rotation, abduction, elevation) and work just on it while guaranteeing at the same time a good repeatability of the exercise and the possibility of measuring the patient’s performance improvements session after session, or of making comparisons with the contra lateral shoulder.